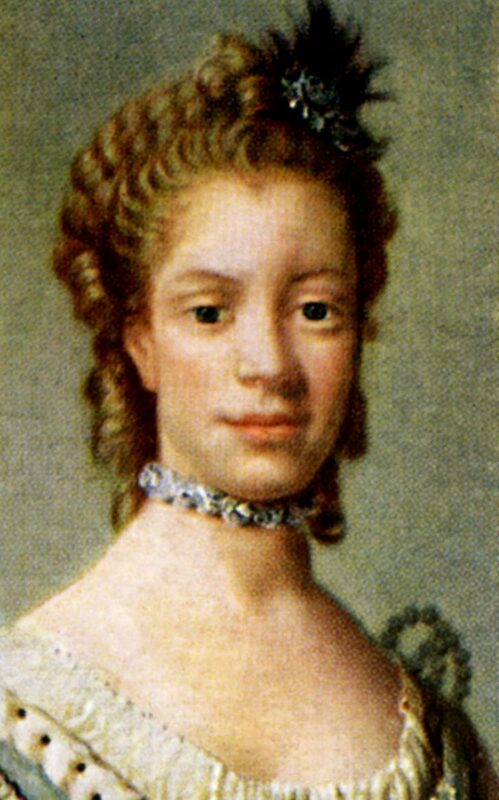 Was Queen Charlotte England’s First Black Queen? Unless you have been living under a rock, you are quite aware that Prince Harry just married an American who can trace her historical roots to Africa. This may seem like quite the shake-up for the British Royals, but in reality, Meghan is most likely NOT the first member of the royal family to have African lineage. 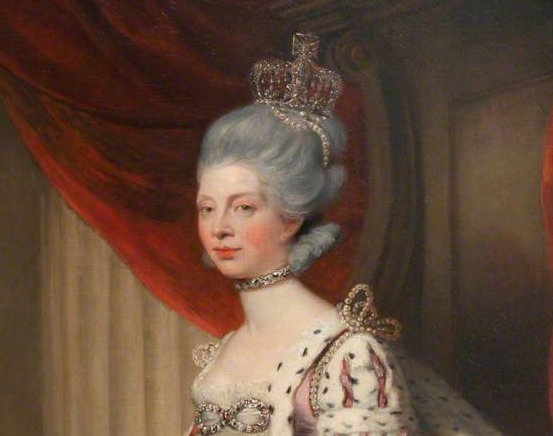 Queen Charlotte, the wife of King George III (the King America gave the big eff you to), who bore the king 15 children, was thought to be of African descent. 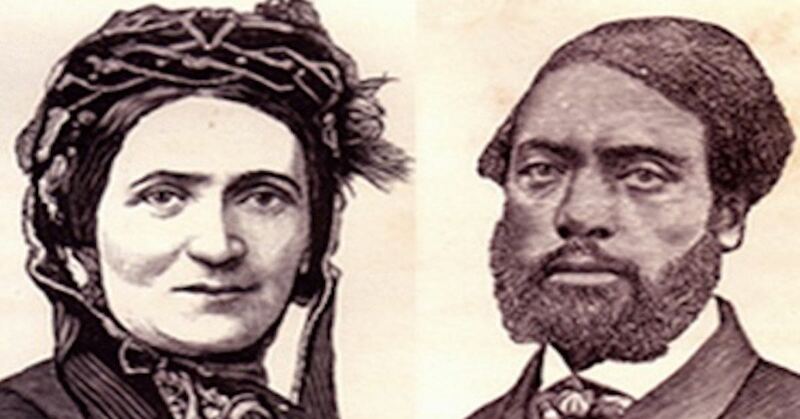 Charlotte was thought to be directly descended from a black branch of the Portuguese royal family: Alfonso III and his concubine, a black Moor. 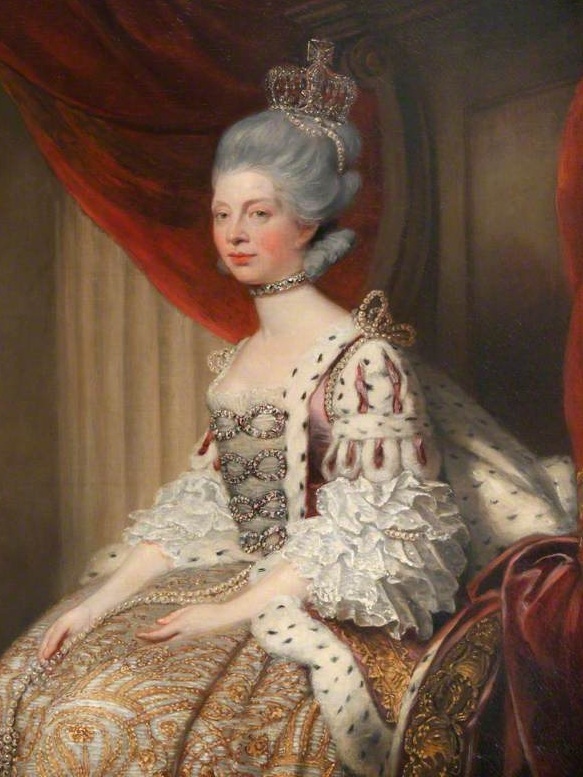 So who was Queen Charlotte? Charlotte was the eighth child of the Prince of Mirow, Germany, Charles Louis Frederick, and his wife, Elisabeth Albertina of Saxe-Hildburghausen. In the 13th century, Alfonso conquered a little town named Faro from the Moors and he demanded the governor’s daughter as a paramour. He had three children with her. Charlotte married George III of England on September 8, 1761, at the Chapel Royal in St James’s Palace, London, at 17 years of age becoming the Queen of England and Ireland. 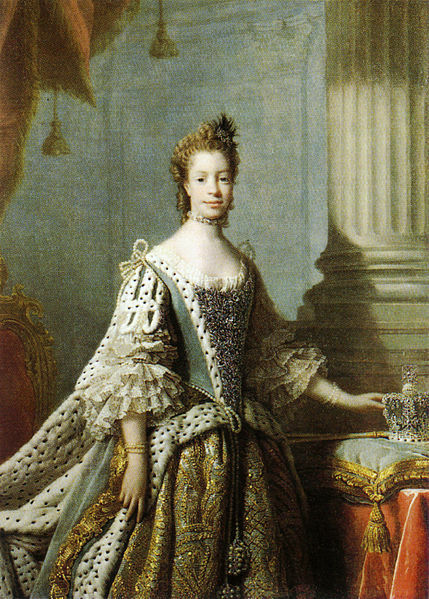 Queen Charlotte’s features, as recorded by her contemporaries, gave her an ‘unmistakable African appearance,’ but her African features were downplayed by most artists of the time. One painter, Sir Allan Ramsay, who was against slavery, did not hide the Queen’s real features. Queen Charlotte was a learned character. 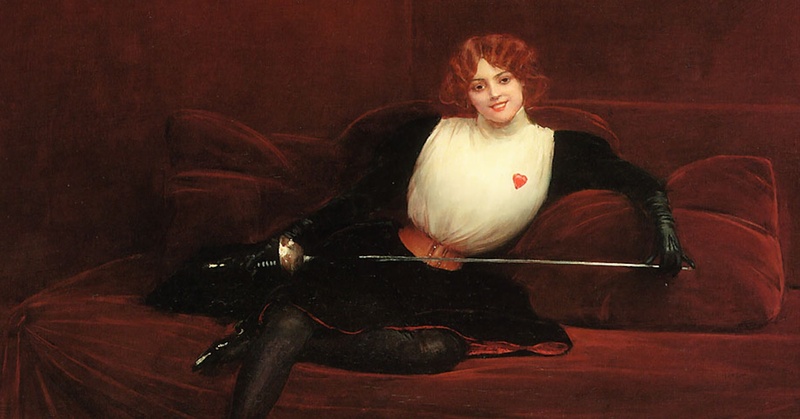 Her letters indicate that she was well read and had interests in the fine arts. The Queen is known to have supported and been taught music by Johann Christian Bach. She was extremely generous to Bach’s wife after Bach’s death. Wolfgang Amadeus Mozart, at aged eight dedicated his Opus 3 piece to the Queen at her request. Also an amateur botanist, Queen Charlotte helped to establish Kew Gardens bringing amongst others the Strelitzia Reginae, a flowering plant from South Africa. The Queen also established the Charlotte Maternity hospital in London as a charitable institution. It is the oldest maternity care institution in England. Queen Charlotte died on November 17, 1818 at Dutch House in Surrey, now Kew Palace, in the presence of her eldest son, the Prince Regent. She is buried at St George’s Chapel, Windsor. 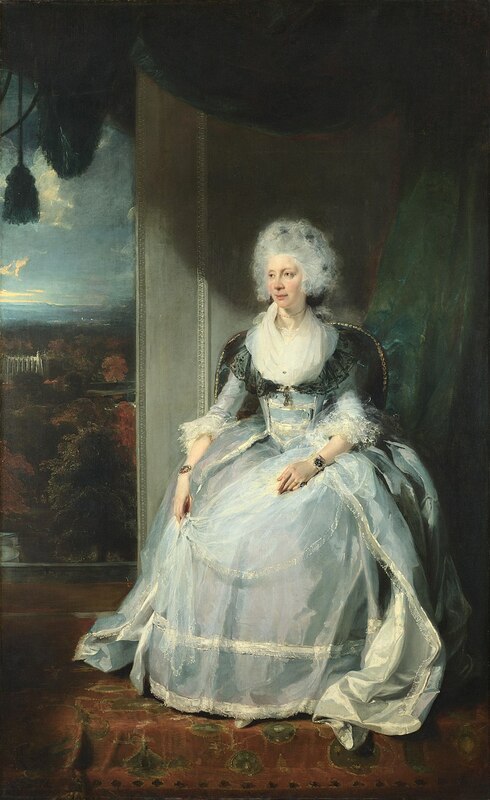 Queen Charlotte is the great great-great grandmother of the present Queen Elizabeth II. She was even honored in America, with Charlotte, North Carolina being named for her. Heads up Meghan Markle, you have some BIG shoes to fill. Side note: the Royal Household itself, at the time of Queen Elizabeth II’s coronation, referred to both her Asian and African bloodlines in an apologia it published defending her position as head of the Commonwealth. My name is Kimberly Ison and I am an aspiring History professor with a great passion and love for all things History! Besides writing for the amazing History Hustle I also run my own blog dedicated to History called KimsKonnections. I enjoy reading, spending time with my pitbull Ruby, and a great cup of coffee! !